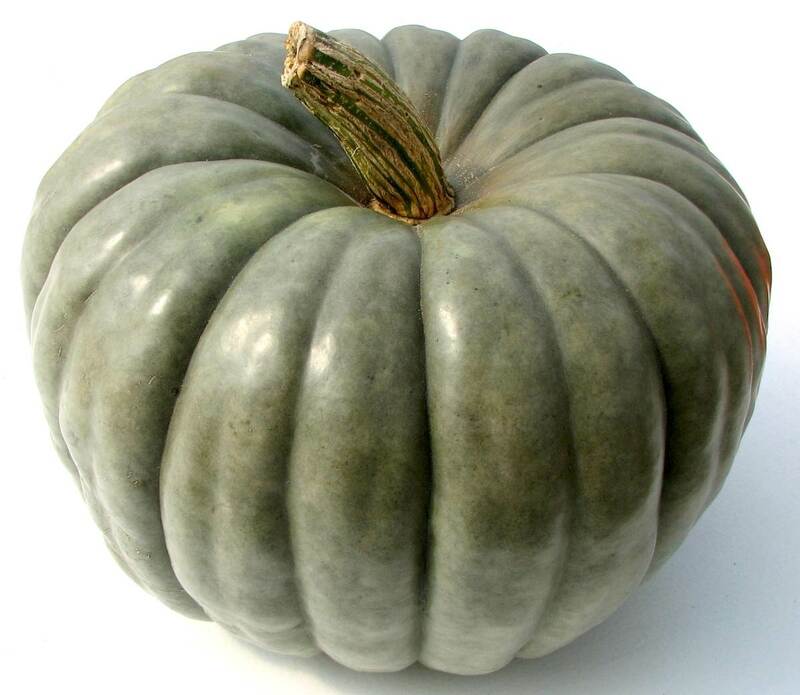 This is a medium sized, deeply ribbed heirloom pumpkin in a pleasing light blue or gray color. 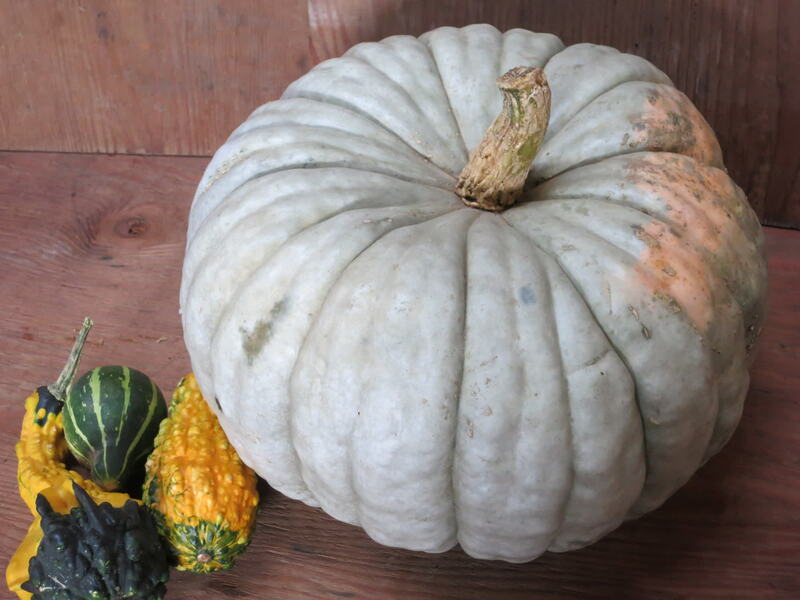 This crossbred child has some qualities of its Blue Hubbard squash and Cinderella pumpkin parents. 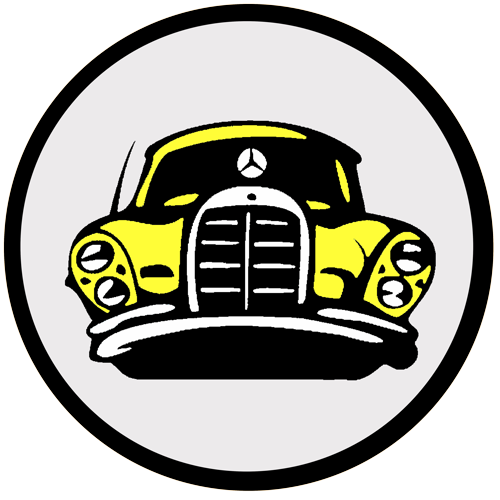 The flesh is mild and sweet like the Blue Hubbard while the flattened shape is a trait from the Cinderella. 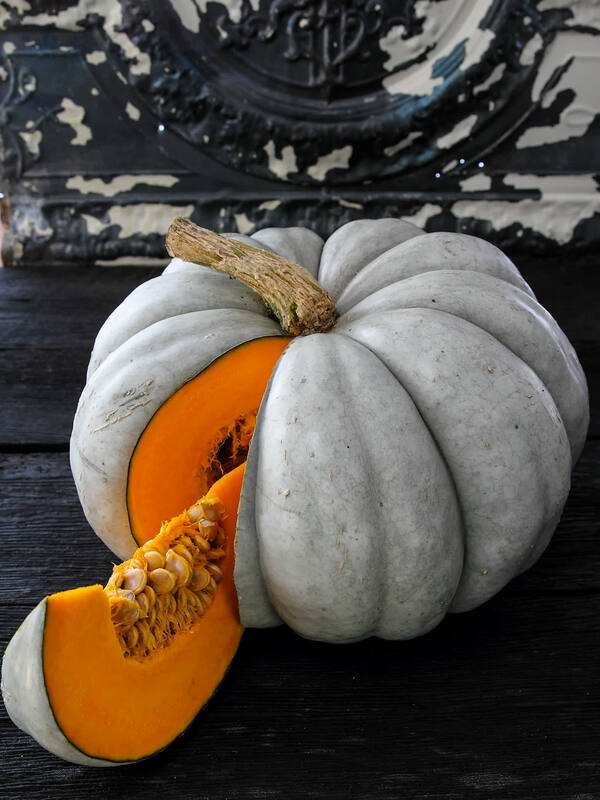 Pumpkins grow 10-14"across and weigh about an avg. of 9-10 pounds. 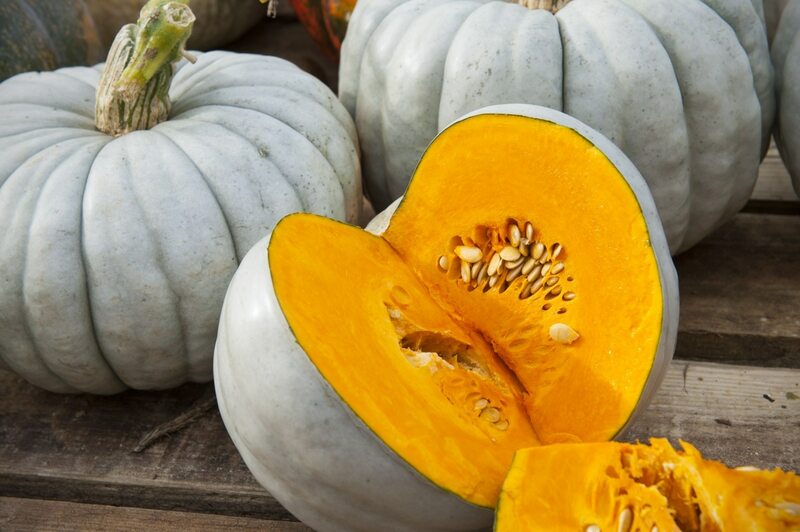 This blue pumpkin has a golden-orange flesh that is fine-textured and sweet. Good in pies, it is also versatile in soups and stews. This is a native of Australia whose strain has been preserved by amateur seed savers. Even so it is difficult to find. The golden-yellow flesh is medium sweet, string-less and is a very good quality for baking. It is desired for fall decorating due to it's unusual slate-green color, deep ribs and drum shape. The skin is quite hard, so use caution when cutting this one open. 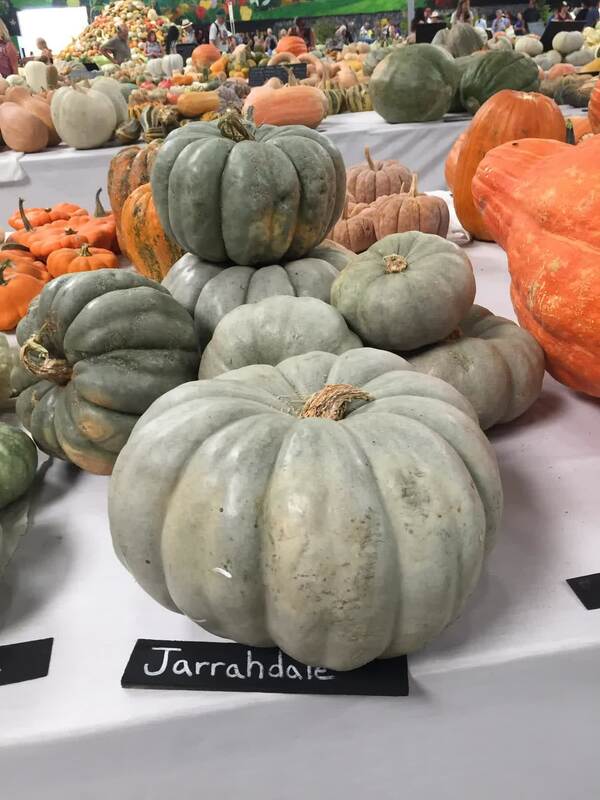 It one comes to us from the town Jarrahdale in New Zealand.